A former Manchester United star has urged the club to make a move for two highly-rated Ajax youngsters. 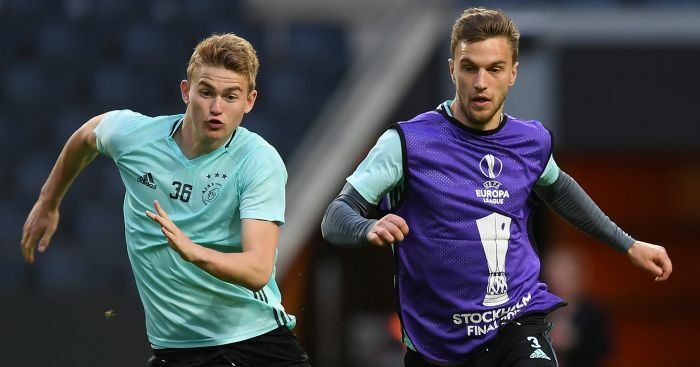 Arnold Muhren, who played for United from 1982-85, believes that Matthijs de Ligt and Frenkie de Jong would both get into the current United side – having been linked with moves to Old Trafford since the summer. Centre-back De Ligt, 19, and attacker De Jong, 21, have impressed in the Eredivisie as well as shining in the Champions League for the Ditch giants. Mourinho remains keen on bringing in a new centre-back in January, having missed out on top targets over the summer, and Muhren is confident the youngster would thrive at Old Trafford. He added: “At United they’ve tried several centre-backs. Why could De Ligt not play there"
“He proved that he is strong enough. He is still young enough to grow. He’d get a lot more experience at United. “United are still searching for the ideal centre-back. De Ligt would bring light to United. De Jong, meanwhile, has also been linked with La Liga giants Barcelona and Tottenham, although it would seem more likely that he would move in the summer and not January. We?ve got a carpet, a Claret carpet, I just don?t think you understand! West Ham supporters have reworked the Dimi Payet song in honour of the new Claret carpet at the London Stadium.